In our modern era of flu viruses, toxins, and superbugs… a strong immune system is vitally important. Doc shares how to give yours a boost in this video about the 5th pillar of INSPIRED health - Immune Support. Have you heard about the “hygiene hypothesis”? Discover why being a “germaphobe” may actually make you sicker instead of healthier in the long term. Uncover SOME of the many benefits of medical marijuana & learn from a revolutionary who’s changing the stigma on nature’s most versatile plant. Is “getting healthier” your life’s goal? Achieve your mission for optimal health faster with this simple, 60 second, do-it-yourself (DIY) home health quiz! Feel like your hormones are out of whack? Do you experience constant inflammation or fatigue? These could be signs of a vitamin D3 deficiency. Are there supplements that can help with leaky gut syndrome? Specifically, are enzymes and probiotics a good choice? Get the scoop from Doc Nuzum here. If you suffer from an autoimmune disorder, gut issues, or stress… read on to discover the important connection between collagen and gut health. How do you get a weak immune system in the first place and what are some ways to strengthen your immune system? Join Doc to find out. The immune system is a powerful defense against bacteria, fungi, toxins & malignant cells that can lead to cancer. Here’s how the immune system works. What are the best immune system boosting foods? 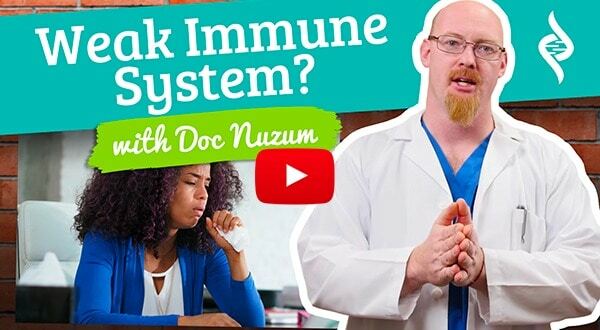 Watch the latest installment of “Doc Talks” with Dr. Daniel Nuzum to find out. You hear it mentioned all the time, but really, what is your immune system? Today we join Doctor Daniel Nuzum to find out! Did you know natural killer cells are like the ninjas or the samurai of the immune system? Join Doc Nuzum as he highlights the role of natural killer cells. 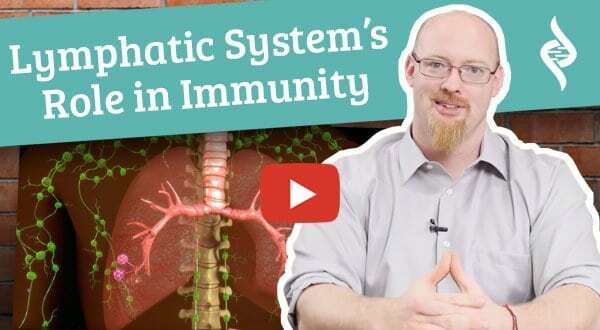 Curious how your lymphatic system plays a role in your immunity and your immune system? Watch this video as Doc Nuzum fills us in on all we need to know. We continue our series on INSPIRED: The 8 Pillars of Health with the second “I” in INSPIRED, Immune Support, and how to boost your immune system. Check out these 4 “top picks” of essential oils for headache and other cold & flu symptoms to keep handy this fall and winter. Bowel movements aren’t a pleasant topic of conversation, but having healthy poop is a good indicator of your health. Check out these healthy poop tips. Nature provides us with many plant compounds that help support a vibrant, healthy immune system, especially as we age. Here are 5 of the best. If done properly, an essential oil bath can be a legitimate healing and energizing experience. Here’s 5 steps to help you have the perfect bath. Has Taking Antibiotics in Childhood Compromised Your Health? Taking antibiotics has become commonplace. But those antibiotics you took as far back as childhood could still be impacting your health today. Find out how. Lion’s Mane Mushroom: Brain Protector? Lions’ Mane mushroom is an edible mushroom that according to legend confers “nerves of steel and the memory of a lion.” But what does modern science show? Turkey tail mushrooms have been studied extensively outside the U.S. for their use in treating and preventing cancer. Find out what the studies reveal.